I'm really confused by what I should get with my pledge. I saw few topics where people were asking about Season Passes for their orders. 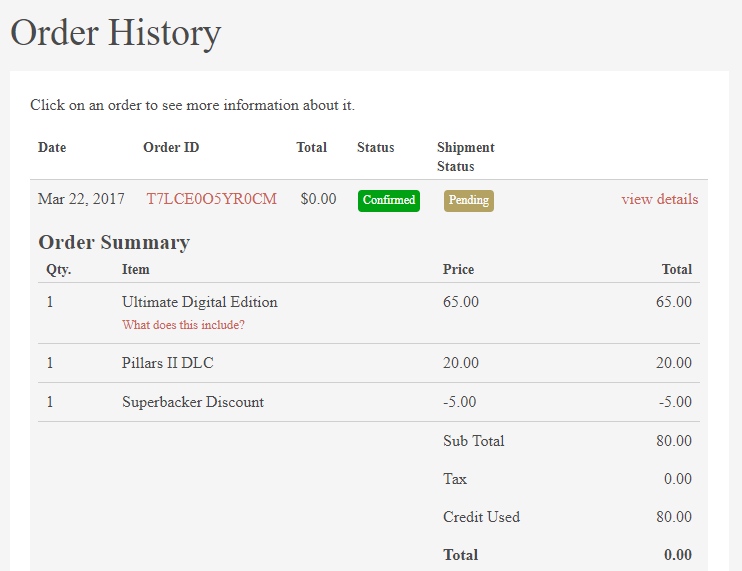 So, I choose the "Complete Pillars Bundle" since the Fig campaing and right now I got PoE2 Ultimate Fig Edition and I don't see Season Pass on my DLC list on Steam. So, does my pledge contain the Season Pass and I will get it in the future or I'll need to buy it seperately? Thanks for any helpful answer in this topic! Its on your backer portal as a separate code to generate. Edited by syphonhail, 09 May 2018 - 07:05 PM. If we didn't purchase the DLC originally when we backed Deadfire, can we now purchase it via the Backer Portal's 'Add-Ons' thingy? Or is too late? It says 20 dollars as an add-on. The DLC season pass was sold separately from the ultimate. And this is an answer what I was looking for. Thanks!